A business matchmaker on how to size up a company for sale. Ted Leverette tells you how to size up a deal. Q: Am I crazy to acquire a business instead of starting one? A: If you have fantasies of buying a faltering business for cheap and turning it around--yes, that would be the way madness lies. The Small Business Administration puts the failure rate of startups between 50 percent and 60 percent; but it's closer to 85 percent for those who buy in hopes of a turnaround, according to a Northeastern University study. Buying a profitable business, on the other hand, is another matter entirely. 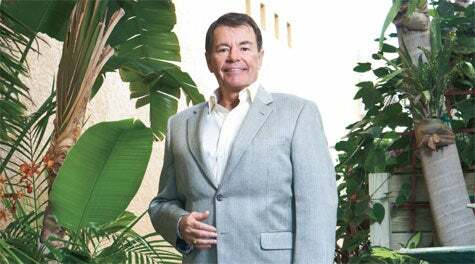 You've got cash flow from Day One, an established reputation and, if you're lucky, a seller who will help finance the deal, says Ted Leverette, president of "Partner" On-Call, a franchise based in North Palm Beach, Fla., that matches buyers with sellers of small and midsize businesses. Leverette has several baseline requirements for a business purchase. First, no matter how glowing the sales talk, don't buy anything that hasn't been profitable for the last five years--and that includes the Great Recession. "Absolutely don't buy anything that has an annual pretax net cash flow under $100,000," he says. "That's the smallest you want to go." Look for a competitive advantage. "The business has to have something that makes it unique." As for specific business opportunities, keep an open mind. "It's a good idea to buy a top business in any industry, even if the industry overall is struggling," he says. "When there's a shakeout, those that survive are the winners." Once the deal is done, retain the seller as a consultant and hire a good manager, because even the best businesses will fail if they are mismanaged. And, of course, be careful to retain the best employees. "You need someone really good in the product area, and someone who really understands the marketing," he says, "and then you want to compensate them well."